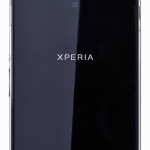 A few days back we saw Evleaks leaking an alleged image of Xperia Z1 for T-Mobile USA showing the back panel of Xperia Z1. 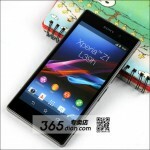 The Design of phone was a but much different from the design of global Xperia Z1 C6902 and C6903. 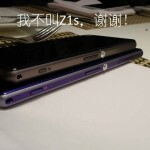 Just now Evleaks has leaked another image of Xperia Z1 named as Xperia Z1S For T-Mobile USA. Well to be honest no details has been given whether it is Xperia Z1 For T-Mobile USA or an international release of Xperia Z1 F aka Xperia Z1 Mini which was recently launched in Japan only. 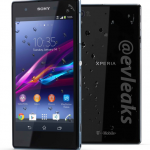 Twitter handle of Evleaks has quoted the model as “Xperia Z1S” and is a 2013 Sony Mobile model. Model Xperia Z1S depicts some design changes in itself. 3.5mm headphone jack is centered. Front facing camera in Xperia Z1S is at the left side of Sony logo but if we see in Xperia Z1 global model, it is on right side of Sony Logo. 4G network can be see on the top notification bar. 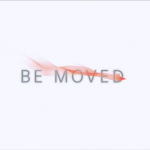 Below pic is courtesy of Evleaks. 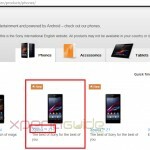 Previous leak was mentioned as Xperia Z1 for T-Mobile but this leak is quoted as Xperia Z1S, so is it about Xperia Z1 for T-Mobile USA or some other model of Xperia Z1. 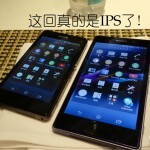 If we see the previous image, it’s frame suits perfectly to this leaked image of Xperia Z1S. 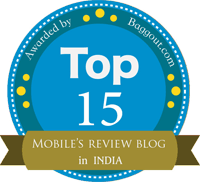 In past also Sony has given a different name to Xperia model’s release in USA, like Xperia T was named as Xperia TL on AT&T but Xperia Z1 release on T-Mobile was named as Xperia Z1 only. 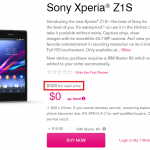 So till now we are expecting Xperia Z1S, as Xperia Z1 for T-Mobile USA but it can also be the international release of Xperia Z1 F, very less chances though. 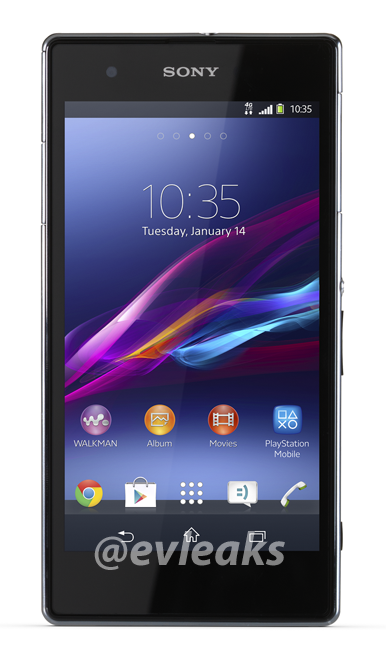 As soon as any official info on Xperia Z1 release in USA comes on T-Mobile we will let you know..